"The war never truly ended, did it? The trouble I felt day after day when she was killed... the grief, the agony. No. It was foolish of me to think it would end with Grustik's death. It was only the beginning." The long fragile peace between two warring kingdoms wastes over days and years; time holds no forbearance for those unwilling to face the truth of a returning past. For Jaerith, today is a time for celebration and a time for grievance within the bleak walls of Erryth. Winter marks his forty-third birthday, but this same cold season also represents the moment in time when his wife fell to war, and the old count struggles to put aside memory's embrace. Meanwhile, unknown and inexorable, darkness once more treads across Erertiya's borders. Vengeance leads its way, a fierce king who would see his thirst for retribution satisfied for a war lost and a father slain, nineteen years ago. Version 1.1 (16/12/09): Minor grammatical changes made. Minor bug fixed where the final cut-scene did not eventuate due to the scout becoming jammed in the western gateway and cut-down by remaining enemy units. Version 1.2 (20/12/09): Inadequate timing sequences moving enemy units around while in the fortress have mostly been improved, and the bug involving the engineer still remaining in the fort after the game has ended has also been fixed. A few other minor modifications made, together with the inclusion of a "tips" file. Version 1.3 (23/12/09): Standard difficulty significantly revised. Less archers assault the fortress, and the HP and AP of the three main enemy commanders have been decreased accordingly. Player one's archers and onagers have had their HP marginally increased. Wardrik's stats have also been rectified with respect to each difficulty level. Version 1.4 (4/01/17): Major update made to further polish the file, including revisions made to all dialogue, story and hints. Numerous bugs fixed. This scenario is extremely entertaining, with a fast pace and lots of atmosphere. For one if its type, it excels in every area and is highly polished. There are limitations to the style such as a lack of variety and replay value, but on the whole if you enjoy fixed force or siege scenarios this is one of the best out there. In the new version I could not find any bugs or glitches, and on a modern machine I did not encounter any lag either. Despite the defenders being massively outnumbered, the scenario is well balanced. Certainly the outcome hinges on whether the player adopts the right tactic and can pull off a bit of micromanagement. Difficulty dynamics do feature and have a noticeable impact. On Standard the player needs only to get approximately the right strategy and keep an eye on his heroes, while on Hard lots of micromanagement is needed along with careful positioning of his forces and mistakes are punished harshly. Although the style is not new, there is still enough here that is original and creative. In particular the berzerkers offered some variety in the enemy attacks, and little touches such as the well also give a favourable impression. The mechanic where Count Jaerith can confront his nemesis on the battlefield is also relatively fresh. The only aspect slightly lacking in creativity was the gameplay, which is probably inevitable given that this is a remake. Aesthetically, the map is excellent, portraying a bleak winter landscape to great effect. It is not cluttered, but still gives the impression that much effort went into it. It also functions very well in this context, with wide open spaces for the battle outside the fortress and narrow chokepoints in the gateway that are the key to victory. The only quibble is that the positioning of a couple of towers makes it difficult to manage your men, but this is a very minor problem. This is the outstanding feature of the scenario. The story is a well trodden one of revenge, but the depth and detail the author has given to it are exceptional. The writing is of very good quality, but as the bulk of the narration is confined to the instructions and history screens it does not get in the way. The instructions are also exemplary, and the hints are unusual in that they fit neatly into the context of the story. There can be no complaint here. The Blood of the Bear is a remake of a previous series of work by Mashek, the Second Krethàrn War, and it is a two scenario campaign comprised of one playable scenario and a cut-scene. Being the first campaign I've played in a while, this campaign kept me glued to the seat from the start to the ending. It is the finest piece of work Mashek has produced to date and a very worthy remake of the series. The map design is fantastic and very realistic, especially with the open fields surrounding the city. The gameplay is of a standard type; you have a fortress and you've got to protect it. But the authour makes it much more detailed, strategic and atmospheric than I have ever seen before in any similar scenario. The enemy forces seem really overwhelming without creating any lag whatsoever, every strategic victory or loss during the battle has an effect on the coming gameplay, and there are always sound effects and music pieces playing to increase the realism and describe the events without using words. It is, more shortly, one of the best examples of how music and sound can be used to great effect. And that's only talking about the first scenario! The cut-scene is of top notch quality as well, also using sounds and music foir great effect, but it is also a great way of telling the story, which here is told from both sides of the conflict. This campaign is definately deserving of a full score here. The only negative side I can find is that it's so short, with an effective game time of maybe 45 minutes, including the cut-scene! After some reloads on moderate difficulty I switched to standard and managed to win at last. Standard is tough but beatable without reloads, or so it was for me at least, and moderate would take more skill than I posess and many more reloads. Overall the balance is great, from the individual points of battle in the scenario, to the surprise attacks that force you to split up your forces, and the final duel with Wardrick Ironn. For my level of skill, which isn't all too high, it was perfectly balanced. As mentioned before, the game had a very standard type of gameplay to start with but developed this into a very creative game, with morale losses and gains, bottlenecks in the defenses, surprise attacks, limited use of the most powerful units such as the Catapults, and so forth. Another creative touch, which was also very helpful in the heat of the battle, was that all the heroes were healed after major objectives so that they didn't die because they got surrounded after a short cut-scene started off. The story in itself is also very creative. While it is a very common "Country A invades Country B OH NOES! "-type of story, the literary skills of the authour makes it a great experiense and adds both depth and breadth to the story. All in all, top-notch. The map design was very realistic, very strategic and very cold. It gave a great atmosphere in combination with the story and the music and its strategic values helped improve the gameplay. A marvelous piece of work. Without giving away the story, I can say that it was very well written, especially considering it's only for a game after all, and something the authour doesn't earn a penny for spending his time on! The story is a great example of how you can take a very cliché form of game and turn it into somthing awesome and fresh, and the instructions coming with the game are quite helpful and fill their role as intended. All in all a solid 5.0, and one of the best games of 2009, if not THE best! Very nice Mashek, the playability was very entertaining, fun, as well as challenging. The music fit it perfectly and sounded great. The cutscene was very well done and actually felt like a war-torn country and had excellent planning. The entire game ran smoothly even though our computer doesn't have very good specs. This was very well balanced and was very challenging at parts. The strategy used to win was well thought out as well as realistically correct. At times I wondered if there really was thousands of soldiers cause they kept coming wave after wave. Even after reinforcements arrived it was still challenging. Very well done Mashek. The creativity of this campaign is very good. From the ways to defend the castle to the excellent and well thought out cutscene. The story itself is very creative and I enjoyed it all. The map design is not only great, but realistic as well. The castle surrounds an open plain which realistically made the area around the castle a "Dead mans land". The castle layout is good with two entrances making the gameplay more challenging due to multiple entrances to guard. The map design in the cutscene was well made and gave the impression of a war torn land, great job Mashek. The story created by the Author is very well thought out. Scenario designers may know that a good story is possibly the hardest to come up with. The story was both well thought out, in depth, as well as entertaining. The Hints/Instructions were very well written out and gave just enough Hints to keep the gameplay challengeing without making it to easy. All in all Maskek did a great job in the Instructions/Hints area, which are commonly overlooked by scenario designers. All in all, this scenario is a great example of what FF/Defend the Spot scenarios should be. The cutscene is of top quality and is very entertaining to watch. This campaign is a MUST download if you enjoy FF/DtS gameplay. My congratulations to the author of this great campaign, and I rate this 5 out of 5. 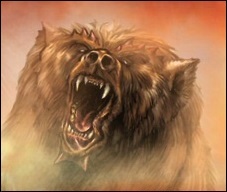 The Blood of the Bear is an epic campaign which consists of one great siege scenario and a well worked out cutscene. Although you had an enormous army under your command, it wasn't too hard to micromanage. I haven't experienced any bugs or lagg. I have played this scenario various times on standard and moderate. I haven't won on hard difficulty yet. I think the replay value is great. The cutscene in the second scenario is also very good. No bugs! The first time I played this scenario; well, it was actually one of the first files I played. I didn't have any experience with fixed force scenarios. I played it on standard and got easily crushed. Later, I tried it again and with the right tactics you win. On moderate difficulty I hadn't any big problems either; it was harder though. Much later, I tried to play it on hard, but as I already said: I lost. I haven't tried it again, but I'm sure it is beatable. This difficulty dynamic-stuff is well worked out. The cutscene in the second scenario is flawless. The "display-instructions" in the cutscene are well timed. You can easily keep up with them and still see what is happening. The first scenario: "The storm" is a remake of one of Mashek's previous scenarios. Honestly, I haven't played that scenario yet, but I believe this one is a great improvement. This Campaign is very creative worked out. You are heavily outnumbered and have to defeat a large force of invaders. Finally cavalry-reinforcements come and save the day. It is a bit like "The Lord of the Rings"; but for me, that doesn't matter. The siege is made in a incredibly good way. The music is very well chosen; you get really the "feeling" that you have to lead your troops into victory. The cutscene-scenario is presented in a unique way I have never seen before; which is really good. Once again: absolutely great! The map design is gorgeous. It really looks like a sad winter landscape. Also the city is very well designed; there are two gateways you need to defend initially. They are positioned well and it really fits with the rest of the city. Outside, the map design isn't cluttered which is good because you need to fight there with a large cavalry force later in the game. This improves the playability-rating a lot. The map design in the Cutscene is nice too! It also looks like a sad winter landscape, which is needed for the theme of the campaign. This Campaign has a well written story which has much dept and is easy to understand. It feels like it is a part of a good book! The in-game instructions and objectives are clear. There are also a lot of tips and hints written, too much for me I think. I prefer to play and see how it will go rather than read trough the tons of tips and hints you get. But still: very good. It's better for someone who is more patience as me :D.
This is one of the best campaign to date. I like this kind of scenarios! I hope that one day a sequel will release. This is a highly recommended download! Blood of the Bear is an fixed force style scenario involving two maps, the first is an epic and desperate confrontation from the player's point of view, they must defend Erryth, their capital and home, at all costs as a vast horde besiege the town. The horde are led by a men who seeks vengeance, as men are want to do. His reasons for this unfold throughout the campaign. The siege is a well designed affair, the player must shift their attention quickly from gate to gate as they micromanage their units into an organised defensive unit, holding each gate. The player's units comprise of Huskarls and Berserkers for close encounters and a small amount of longbowmen and siege catapults. The player also has a number of hero's that must keep alive. The battle is tense and fraught, the game keeps track of your kills, and as that number increases the number of defenders slowly dwindles. When reinforcements arrive it's a relief, they are quickly handed over to the player's control and the battle begins anew. I felt that there are elements of re-playability here, the player can upgrade to higher level's of difficulty when they master the first. As mentioned the difficulty level's offer a challenge, I couldn't see someone finding themselves stuck between two difficulties, as the increase from Standard to Moderate simply requires a more balanced approach, possibly a greater use of the hero's to help fight enemy captain's, and perhaps a more tactful use of the catapults, at times on standard I simply told them attack an area was less concerned with how this may affect my units. A single villager is offered to repair the catapults, and once they are lost the player loses these units the difficulty increases enormously. I found Hard to be above my abilities, but there are some out there that will relish the challenge and overcome it. The creativity in the first scenario is strong, the player get's an indication of how they are progressing as the kills rack up, if I was to offer a suggestion it might be that the player's losses could be tracked. The player is also offered warning's if there troops get over eager and attack forward into the enemy at the early stages. Where the creativity really shines through is on the second scenario, a cutscene, which offers a lovely human aspect to the previous scenario. It is well thought out and offers more information the fraught history between these two old enemies, the personal loss on both sides, and the number of deaths suffered. Erryth and the surrounding countryside are well designed, the designer makes use of some of designer tricks, including the unique wall architecture. The second map is quite beautiful, the landscape is bleak and desolate, farms are dead, houses burn as armies cause destruction. Our narrator stands above such a scene as he outlines his thoughts on the vents that have occurred, and why they continue. The author offers lovely descriptive moments in History and in the Objectives screen that set the scene for the player and offer the thoughts of the men involved. Where the story really shines through is in the second scenario, we are offered glimpses of battles long fought, and of the people who died. In terms of instruction they are well thought out offering the player enough details to defend the town, throughout the hints and scouts there are numerous tips and hints offering the player advice. I recommend this campaign to all, the only loss to it is that e may never see this story finished. "Blood of the Bear" is a fixed force/defence scenario and a cinematic scenario which consists of amazing gameplay, excellent use of triggers, perfectly designed maps and a deep story. This was a brilliantly entertaining scenario. I am usually not a fan of fixed force scenarios, but this one changed my opinion of them. As soon as the scenario begins, you're drawn into the atmosphere and the story. The siege scenario was challenging, I will admit that I was defeated in the first two tries. Third time lucky. No glitches found, no bugs, no crashes and no lag. The player starts off heavily outnumbered. But for the story the scenario tells, that's absolutely perfect. The player must use tactics to win the scenario, plan every move carefully and be able to manage at least two separate armies at one time. This is different from any other fixed force/defence game because rather than just standing around defending yourself, you can only win this game by managing tactics. I knew all those hours of watching epics such as Lord of the Rings would pay off. The creativity here is endless. I just couldn't get enough of it. Every three seconds you're noticing something new. The storytelling and the triggers are so amazingly well fit together. I have never seen such complex triggers in an AOE campaign before, not even in one designed by Ensemble Studios itself. We should all bow to the creator for he is clearly the Trigger Master. These. Maps. Are. Amazingly. Epic. The dark, bleak winter landscape ties in so well with the story that is being told. The structures are so well placed and designed. the environments are just simply amazing. If you download this, prepare for multiple eyegasms. The sound work was also amazing. You really need to appreciate the sounds that have been put into this scenario. Clearly the best feature of this scenario. The storytelling skills are amazing. You really get drawn into the story and feel as if you were actually a part of it. There is so much depth and detail in the story that the author must surely be a professional novel writer. This brilliant story has to be heard! One of the best games I have ever downloaded. I strongly recommend this to everybody. this is my first time I review in this blacksmith.so Blood of the Bear is fixed force and defend the spot scenario a remake of a day hatred and Lost memories, one of second Kretharn war. I remember when first time playing this 2 years ago, I see enemy had many soldier and we are just only have regular army but unexpected I can beat this game in the first time I play it.no bug,no lag,no crashes. nice feature like moral system,optional duel like jaerith with wardrick,and display instruction change when the optional heroes dead. like I mention above we are just only have regular army but unexpected I can beat this game in the first time I play it, very good balance for adding onagers for kill lot of enemies,elevation for advantage moral system and other. mashek very creative designer, the story are good and interesting,realistic map design show like the country are in the war,great atmosphere and soundtrack I like it.cinematic scenario also perfect it's like film. the map design very realistic, it's themed wars in cold winter, a rubble Dirt(Path1,2,3,4) dead trees,dead farm terrain. this story like film the second kretharn wars I hope someone make this scenario into film. with good story and great atmosphere, the Instrucion just simple like ES Campaign, but it's very detailed, every event the objective change and tell about the story event. one of category Best file in this Blacksmith. great Playability,balance,creativty,map design,story and instruction. Just this campaign is PERFECT. I'm disappointed to mashek for abandoned the sequel the siege of ergeron.